EYEWITNESS IN MANCHESTER is about to go through another major upgrade. From now on, there will be at least three updates a week, and I'll be going out into the city and surrounding areas, visiting people and places, taking photos on my newly purchased digital camera and using my laptop computer to write reports, which will be uploaded as soon as they're ready, usually within a few hours of being compiled. I'll be covering the city and surrounding region according to a visit schedule, which I'd like you to have a look at. There will be a review of the main news stories of that day and the previous day, and I'll be giving my opinions on local issues and controversies. 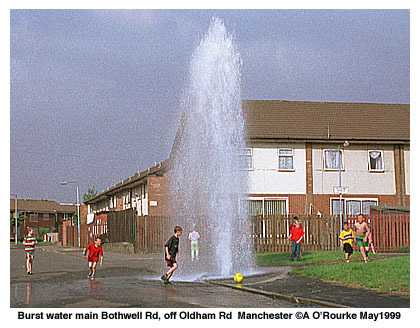 In time, Eyewitness in Manchester will develop into a guide to the region with reports, opinions, information, news and of course lots and lots of photographs. 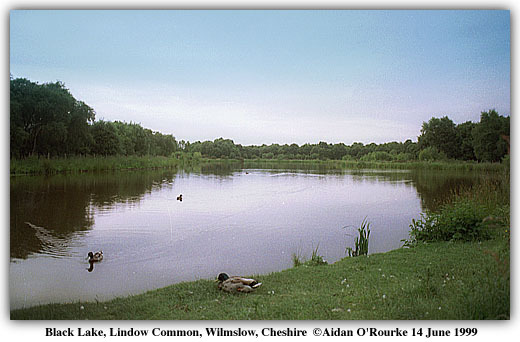 YESTERDAY I WAS IN WILMSLOW, Cheshire, located 15 miles south of Manchester. This is the town, of whose residents Curate David Leaver wrote the following: "I have never met people who are quite so obsessed with money, who are so far removed from any sense of spiritual values, let alone organised Christian worship." 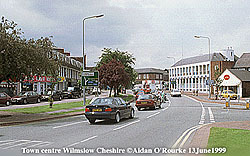 So what sort of place is Wilmslow? Walking around the town, its material wealth is plain to see. My "Mercedes Test" revealed a very high score - How long do I have to wait when taking a photo before a Mercedes comes into shot? Here, about 30 seconds! Prestige car dealers and estate agents are further evidence that this is an affluent place. The town centre has a modest, low-rise 19th century character, though with some unattractive post-war additions. 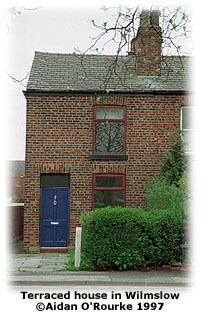 Most contemporary buildings are now built in a red-brick English vernacular style which blends in well with the older town. There are plenty of fashionable restaurants and wine bars: The Nose, on Hawthorn St, is where I once saw Eric Cantona on an evening out. 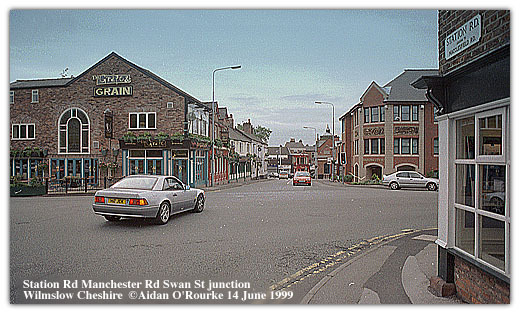 Wilmslow became affluent in the 1840's, when the railway was built, linking the town with Manchester and London. Nowadays many commuters drive to work, using the recently-opened A34 by-pass. 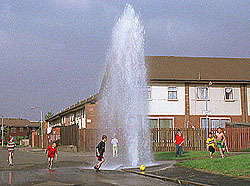 Manchester Airport is only a short drive away along the A538. Journalists like to label this area as "The Stockbroker Belt", but I wonder how many of its residents are actually stockbrokers? Some of the houses you'll see along the leafy, tree-lined roads, or in the estate agents window, are dream homes, it's true, but there are also more modest streets with semi-detached and terraced houses that are more affordable than you might expect. 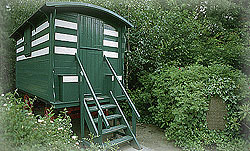 And just off the main street, you'll find the Romany caravan, former home of the Rev. George Bramwell Evens, the well-loved childrens broadcaster and naturalist, who died in 1943. The 1930's art deco Rex Theatre used to preview West-end shows, but now it's sadly closed. Amateur dramatics are continued by the two local groups, the Green Room and the Guild. The parish church, (above) standing next to the winding River Bollin, takes you back in time. 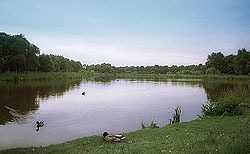 Lindow Common, with Black Lake in the middle, is a patch of primieval woodland surrounded by houses. Not far away the bodies of Lindow Man and Woman were discovered - they had been preserved in the ground for thousands of years. But is Curate David Leaver right to brand the residents of Wilmslow as materialistic and neglectful of religion? Well, his comments have certainly sparked off a lively debate - three quarters of respondents to an MEN poll agreed with him - most Wilmslow residents didn't. In my opinion it was wrong to criticise all the people of Wilmslow on the basis of a small but loud minority. It's like branding all the residents of a crime-ridden housing estate as crooks. 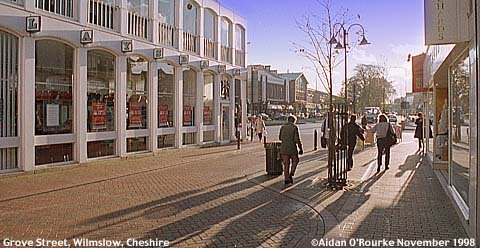 All kinds of people live in Wilmslow - TV stars, stockbrokers, and lots of ordinary people too. So it's important not to be taken in by the stereotypes. 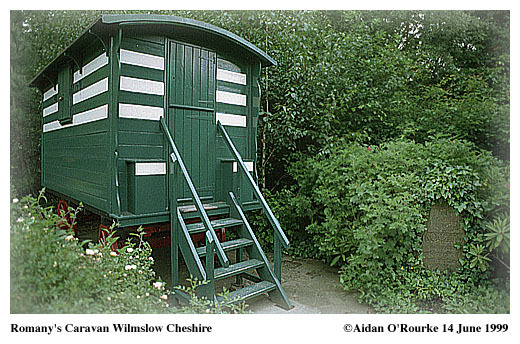 The Wilmslow-based Sigma Press publishes many local interest books and guides. ALEX FERGUSON was knighted by the Queen on Saturday. And here's the message she sent him the day after the victory: "Congratulations on your splendid win last night. It was a magnificent achievement, rounding off such an unforgettable season for you all". The centre of Rehevot, Israel is to be renamed "Manchester United Square". Hope to report from there some time soon. STEVE BENNETT unveiled a prototype of his his "Thunderbird" capsule in Blackburn on Friday, helped by Gerry Anderson, creator of "Thunderbirds", once my favourite programme. Within a few years, Steve hopes to send fare-paying passengers into space - wouldn't mind reporting from there too! SATURDAY'S MEN carried an interesting centre spread on the eco-protesters camped out in Arthurs Wood, near the Second Runway site. Intrepid reporter Nick Webster wrote the words, and Mike Grimes took some great photos. PERFORMANCES THIS WEEK included Back Street Boys at the MEN Arena, Reuben Wilson Band on the Wall, and on Saturday, the Lord Mayor's Parade took place in the city centre. 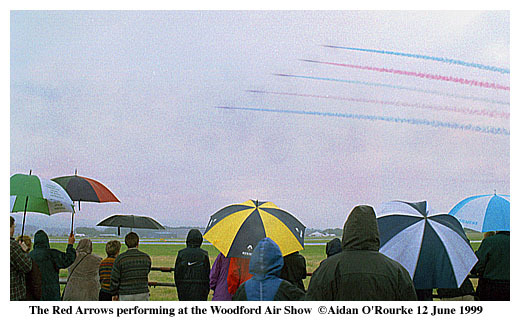 THE WOODFORD AIR SHOW took place on Saturday, and despite some heavy rain, we enjoyed a spectacular display, which included a Dakota and other classic aircraft, an awesome flying display by an RAF Tornado, and some amazing synchronised aerobatics by the Red Arrows. AT THE WEEKEND, I met up with EWM reader Ruth O'Brien from Chicago, who's just spent two weeks here. Ruth is American, with Irish/Mancunian ancestors, and this was her first visit to Manchester. I'm glad to report that she was very impressed with the city and hopes to come again soon. 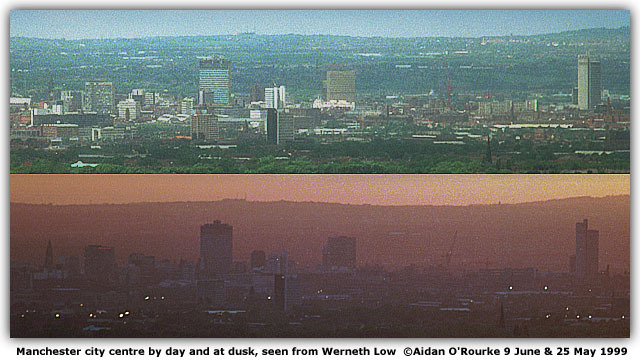 If you're in Manchester, or are planning to visit, get in touch, either by e-mail or by phone - I enjoy meeting people. And if you have any suggestions for places you'd like me to visit - or if you'd like show me round your home district yourself, please contact.